This guide shows you how to Install Kodi on Android, using the latest and greatest version of Kodi. If you have an Amazon FireStick or Fire TV, use Method #2 below, or go to our full Install Kodi 17.1 on FireStick tutorial guide. Kodi for Android is a streaming program that allows you to launch apps that will provide you with excellent quality movies, TV series, documentaries, games, music and more. “Method 1“: Most Android devices come with Google Play Store installed. This makes it easier to get Kodi on Android. Simply type in “Kodi” on the search box of Play Store and you will be directed to a page to download the program. Click Download and this will automatically proceed; installation comes right after and all these could take only a few minutes to finish. A Kodi icon will be present in the home screen of the device or at the app section. To launch Kodi, all you need to do is press the Kodi icon in your Android smartphone’s “Apps” menu. Install Kodi 17 TV Addons and protect your Internet data from being stolen or sold! Enable the ADB Debugging on the Fire Stick through Settings > System. Turn on ADB Debugging and Apps from Unknown Source. Go to the home screen of Fire TV and go to SEARCH (this is accessed through a magnifying glass icon located on the corner of the screen). Enter “downloader” to search for the app. After completely installing, Open to launch. Enter the link http://bit.ly/kodi173arm for Kodi 2017 (“v17.1 Krypton”), or http://bit.ly/kodi161arm for Kodi 2017 (“v17.0 Krypton”). (The previous text is crossed out because Kodi 16.1 Jarvis no longer works with most TV Addons, so use Kodi 17.1 Krypton!). After downloading, click Open File and choose Install. After installation, Open to launch Kodi. For any error messages like “Cannot download OBB” you must relaunch Kodi. You might have to do this several times to work. Do not panic, some users get to install Kodi after trying for several times. After successfully installing Kodi, you may already choose the addons to get programming from. “Method 3“: Sideloading is basically installing the application package in an APK format to the Android device. Sideloading does not use the Android device’s official app distribution method such as an app store but instead uses an unofficial way of getting the app through the device. “Method 4“: APK file transfer is another unofficial way to install apps to Android. APK file transfer can be more complicated than most methods and is usually done by using a Bluetooth file transfer app or by using Wi-Fi. Once you do the Kodi APK download process (which is FAST), just transfer the Kodi APK File to your device. Just like Android builds, Kodi also has popular builds that will completely enhance your multimedia experience as you use your Android device. The Beast Build is a very popular build because it provides a large selection of addons that you can use to watch TV. The Kodi Beast Build has a more seamless and more attractive interface that users will find very easy to use. and because of its popularity, the Beast Build may be the build available from app stores. The Supremacy Build is a descendant of the Beast Build and it also ranks one of the best Kodi builds to choose. Its common to wonder what Kodi builds can offer and how they differ from one another so be sure to choose well to upgrade your multimedia experience on Android. 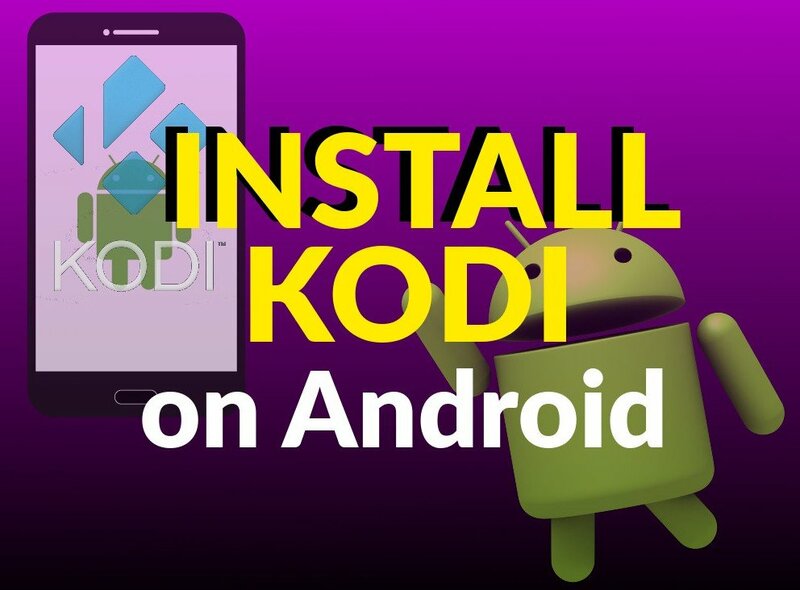 How to Install Kodi on Android: Method 1 - Use Google Play Store. Method 2 - Sideload Kodi. Method 3 - Transfer the APK. Method 4 - Fire Stick 2017 Install Method.